Set a matter of steps from your covered terrace, out over your private garden & lawn area, on stunning Bangrak beach, this property is a wonderful choice for a family or group hoping to experience the best of a tropical Thai beach setting. The property features a covered terrace and private garden, with shade palms, an inviting hammock and outdoor dining options, a welcoming airy and open living space which is adorned with boutique artwork from worldwide locations and two bedrooms. Guests of this property are meant to experience outdoor living at its finest – fabulous beach side relaxation. Vibrant and bold colour schemes along with the many fascinating souvenir decorations brought back from worldwide travels, bring out the character of this property, mixed with the fresh and airy white beach-style decoration these character splashes add the perfect finishing touch to make this a cozy, charming yet fresh property. The open plan lounge and kitchen area features a flatscreen TV, with access to cable channels, DVD player and has patio doors opening wide to allow the wonderful sea-breeze in and unobstructed views of the fantastic ocean views. The kitchen is fully equipped, although with the sumptuous array of dining options only minutes walk from the property, it may be more tempting to allow the professionals to tempt your taste buds while you stay here! The Master Kingsize bedroom is located on the beach side of the property, and also features patio doors which can be opened wide so you can lie back in bed and allow the ocean breeze to cool you and tempt you into a snooze, and you need never miss a moment of the delightful views. The twin bedroom is located next door to the Master room, offering a perfect set-up for parents who like to keep an ear on their little ones. The bungalow is only a 2 minute walk to super hotel, which opens its doors to guests for delicious dining options, well deserved spa treatments or a day lounging beside their swimming pool. Very close by, within walking distance, there are many more dining and shopping options, and even restaurants that will deliver directly to your door! Many of the attractions Koh Samui offers its visitors are located within 10-15 minute drive. 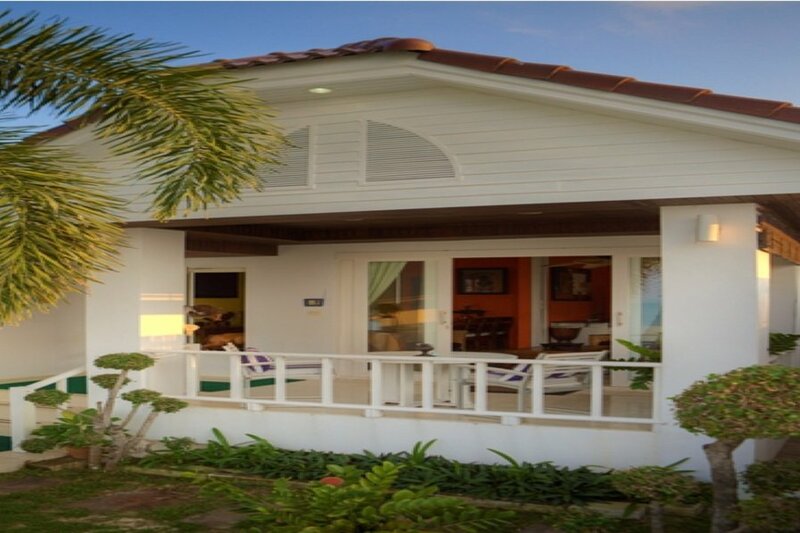 Whether you want to explore the area or just get the very most out of your beachside retreat, this little villa will provide the ideal setting – a perfect getaway for the family or a group of close friends, this beautiful bungalow is a perfect beachfront choice. For larger groups traveling together, there is an equally stunning 1 bedroom bungalow located next door to this one. Please contact us for options of renting out both properties together.